Wishing all a joyous Eid Mubarak and seeking forgiveness from all. Thanks Timothy Tiah from Nuffnang for my Hari Raya Angpow... Which I just got. 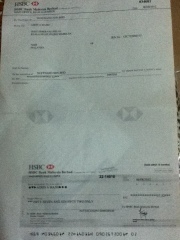 Now I wait for MyRepublic fiber broadband cheque.... How much??? A lot for Singaporeans.